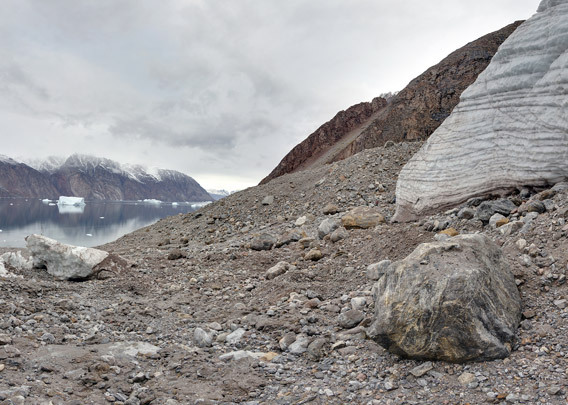 As the other fjords in the area, Snesund is very deep, even directly adjacent to its rocky, often near vertical shorelines. 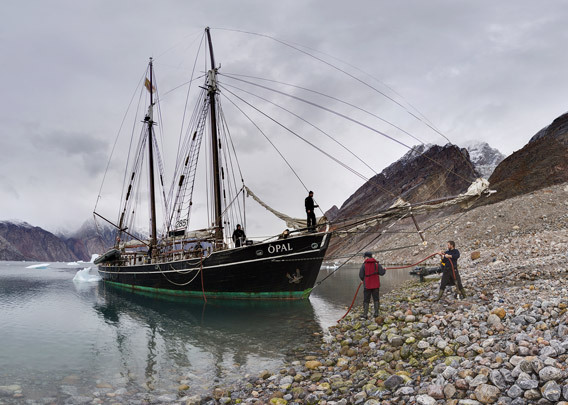 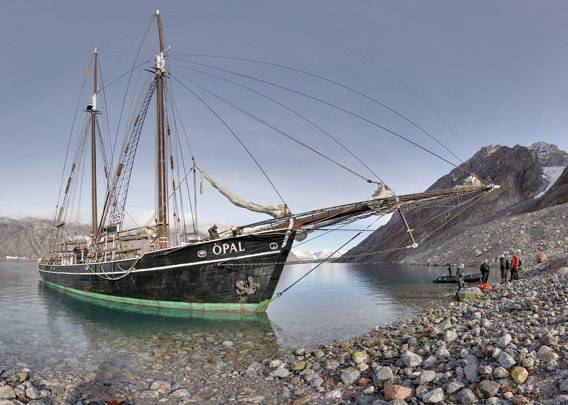 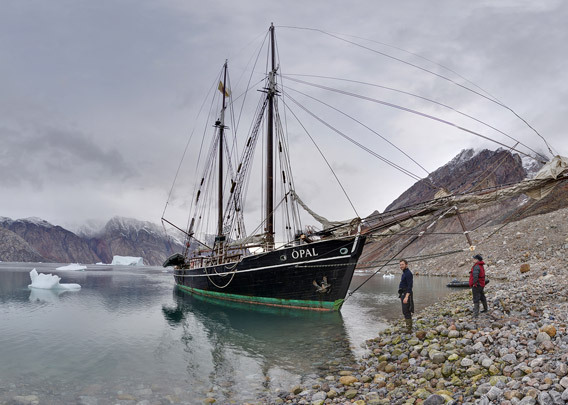 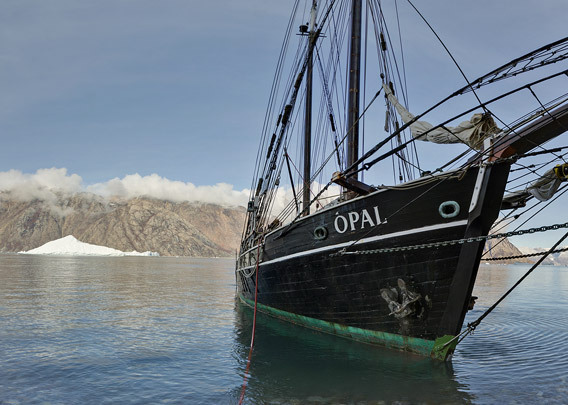 We took advantage of this bathymetry by parking our very robust ship Ópal directly on the shore, using a hose to stock with crystal clear glacier meltwater, filling our drinking water tanks with the best water you can imagine. 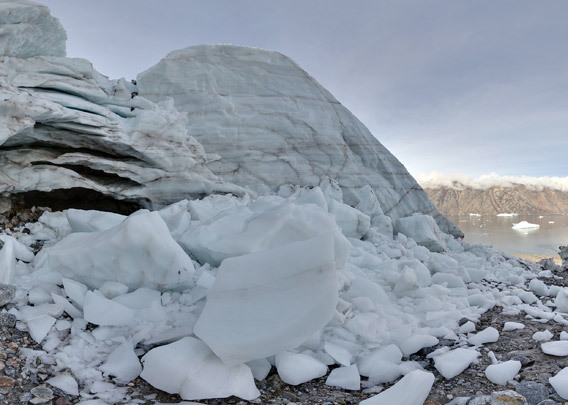 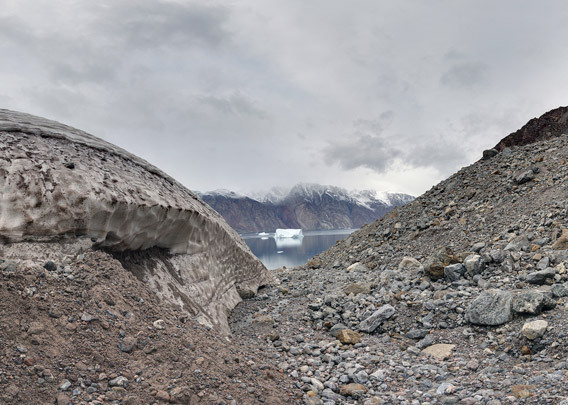 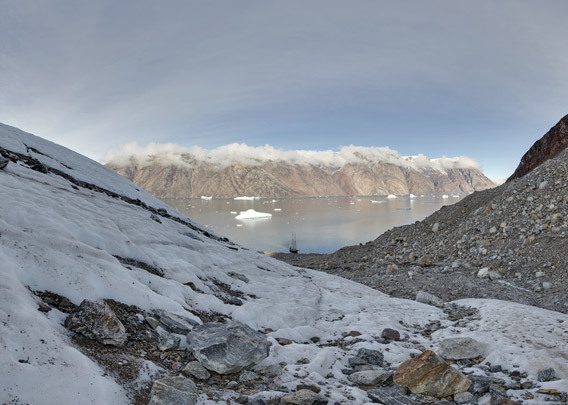 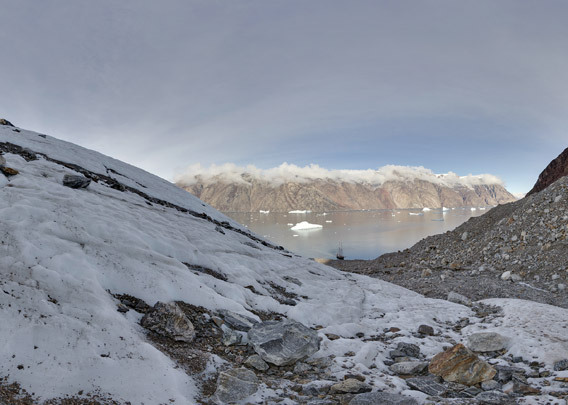 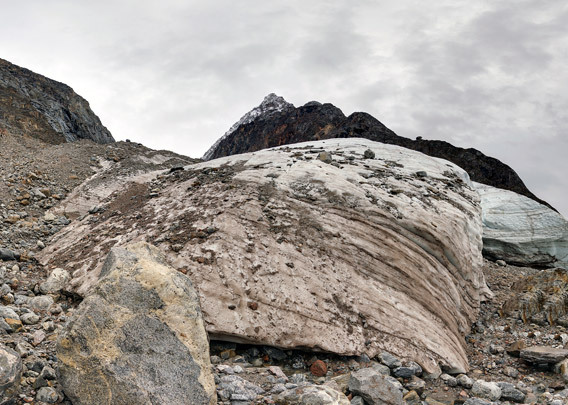 Meanwhile, we took a little walk up the rocky gravel slope, visiting a smaller glacier tongue that had obviously retreated strongly in recent decades, making fascinating close contact with the glacier ice.